Extensions are 2,5 cm lower than the main table top. 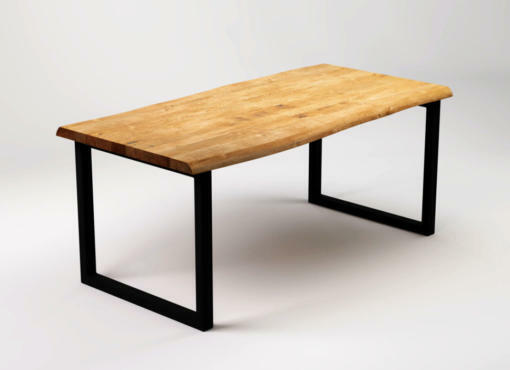 Tabletop – 2,5 cm thick, specially selected solid oak wood. It has various shades, dark knots and bright lines running along and across the tabletop. Each product is made to order and therefore, depending on the batch of wood, it also has its own unique features, colour and wood grain. 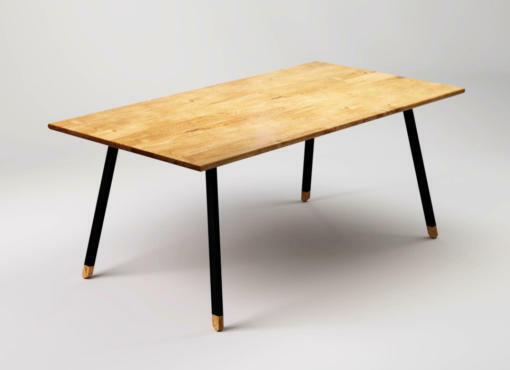 BASIC VIS is an extendable version of our popular dining table BASIC NIO. Under the table top there are two easily accessible pull-out leaves. When you need extra space at the table, just pull a leaf lightly at the bottom of the table it will slide out smoothly. Thanks to the mounted drawer slides it can easily be done with just one hand. Steel drawer slides provide stability and durability, load capacity up to 60 kg. The lock, on the other hand, guarantees that the additional table tops will not accidentally fall out or unexpectedly fold. Each of the pull-out leaves slides separately, making it possible to use them independently. 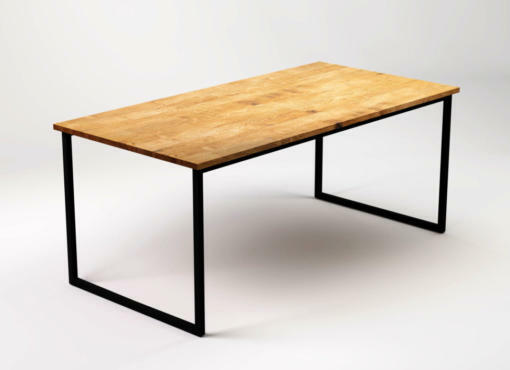 The folding table has a basic, lightweight, minimalist form typical of the BASIC collection. 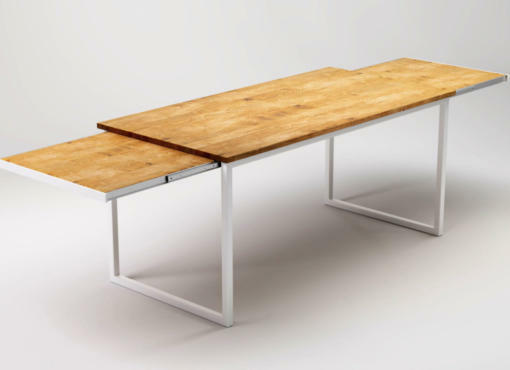 Great design and high functionality make the extendable dining table BASIC VIS perfect for any modern interior, whether it be a desk in the study room or a dining table in the kitchen. 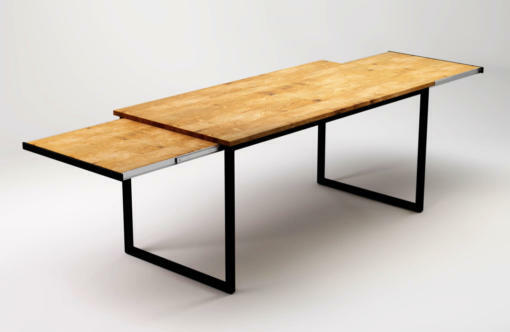 The extendable dining table, with a timeless look, is both an ornament and a comfortable functional furniture. It is made by hand of the highest quality materials. Table tops have the most beautiful natural features of oak wood, with its unique grain pattern and knot arrangement. The steel construction in black colour adds some modern style and industrial character.